This sweater is a showstopper. 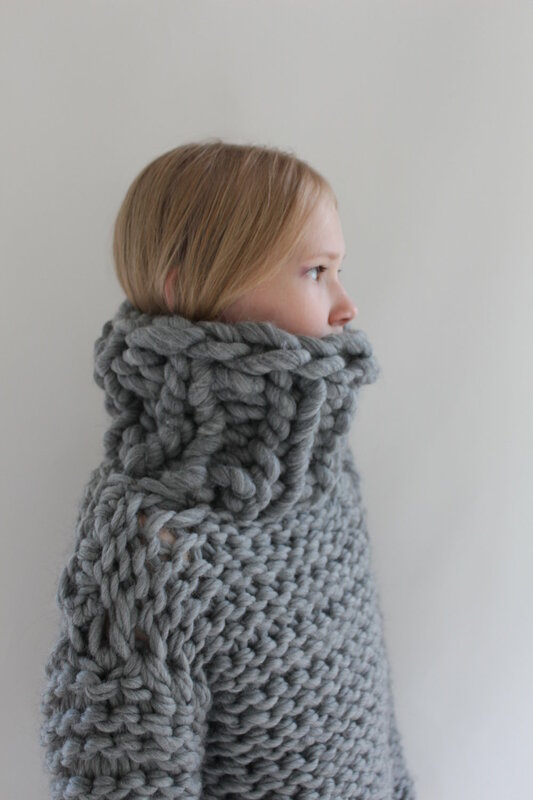 It is supersoft, comfortable and yet the giant collar makes it one of a kind. You need 800-1000 g of Martta the Merino yarn (4 to 5 skeins) for this project and also one 250g skein of Fat&Sassy Merino. If you knit tight, you will need more yarn. You can knit this with straight or circular 18-21 mm needles.